Are you a #clothdiapers fanatic? As an ambassador, I truly hope you’ve tried BabyKicks…because they’re fabulously natural and soft on your baby’s bum! Maybe you joined us for the #BabyKicksPrints reveal party this summer and fell in love with Outfoxed and Baby Safari? Now it’s time to fall in love with everything else BabyKicks has to offer, including an awesome assortment of natural, hemp accessories for mom and baby! 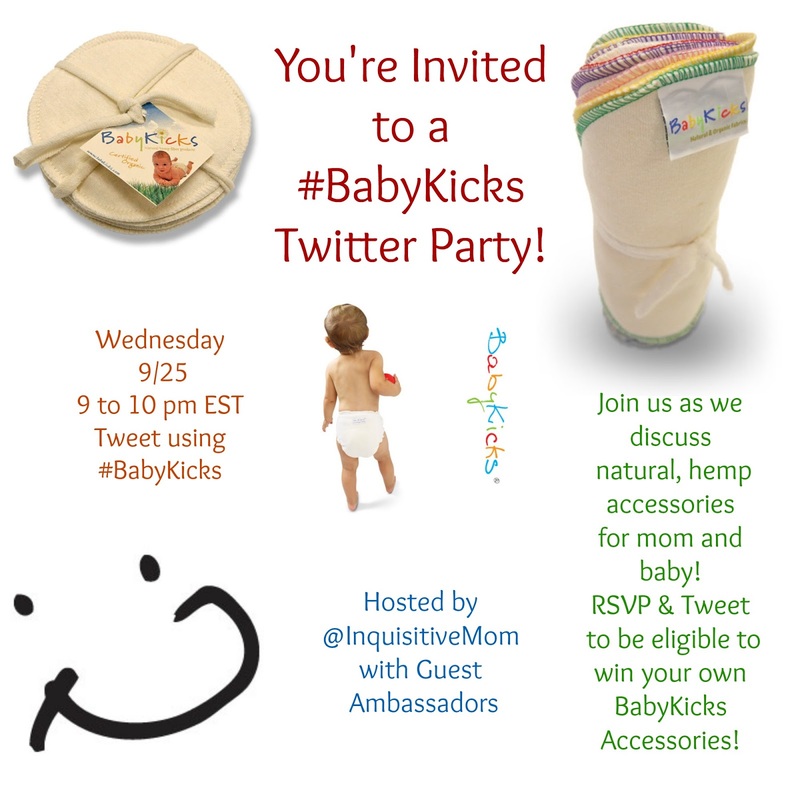 Join us Wednesday, September 25th, from 9 pm to 10 pm EST to talk BabyKicks accessories (and cloth diapers too)! Several BabyKicks ambassadors will be joining me to chat cloth and share their favorite accessories. BabyKicks also wants to give party attendees a chance to win some accessories! RSVP for the twitter party and tweet publicly at least once using the hashtag #BabyKicks to be eligible to win one of 3 BabyKicks accessories!